About a week ago, I saw an article and photo set where a photographer had climbed down into Fryman Canyon, below Mulholland Drive, and photographed the rusting hulks of cars that had crashed there and never recovered. The article made it sound like these are not visible from up on the road, but I wanted to go see anyway. It was a nice day for rriding. We headed out by the usual route through Eagle Rock to get to Hollywood. 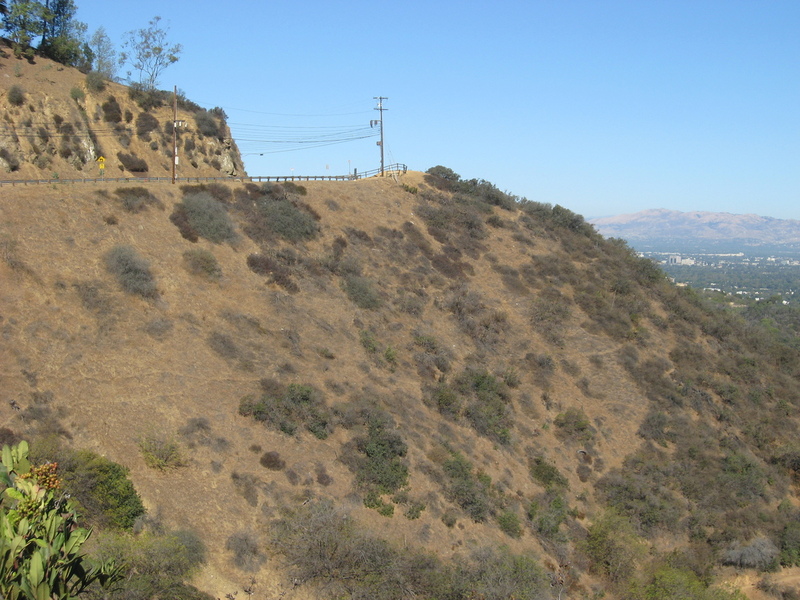 We rode almost the full length of Hollywood Blvd, and then headed up Nichols Canyon. This is a nice, quiet little canyon road with very little traffic. 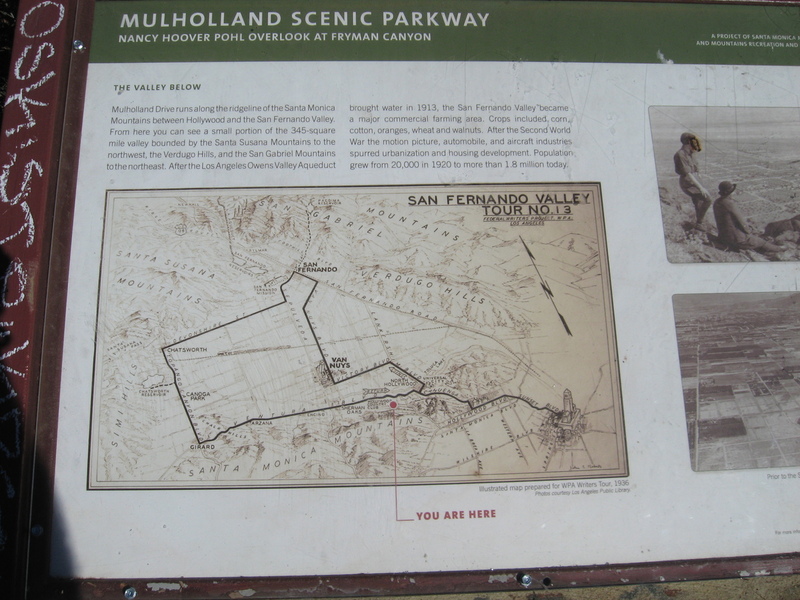 That took us up to Mulholland, where we headed west. 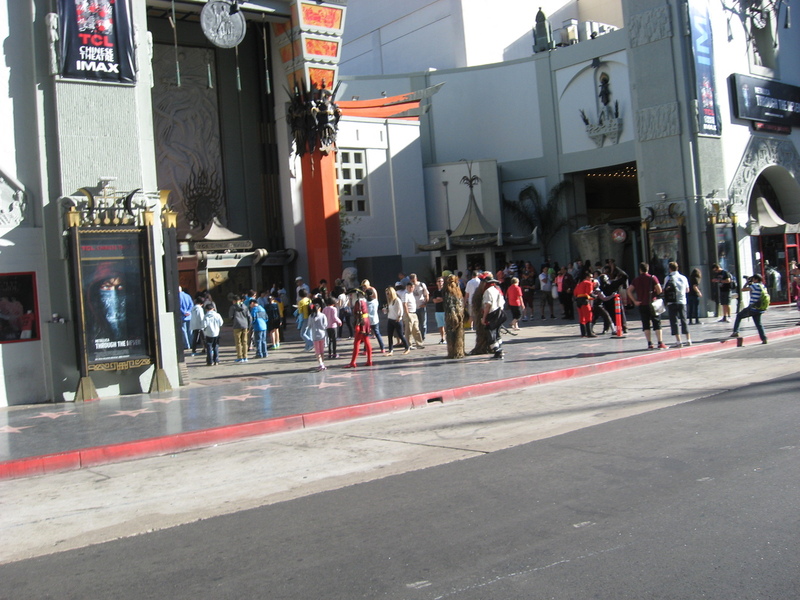 We passed Wonderland Center, which was the subject of another sightseeing ride some years ago. 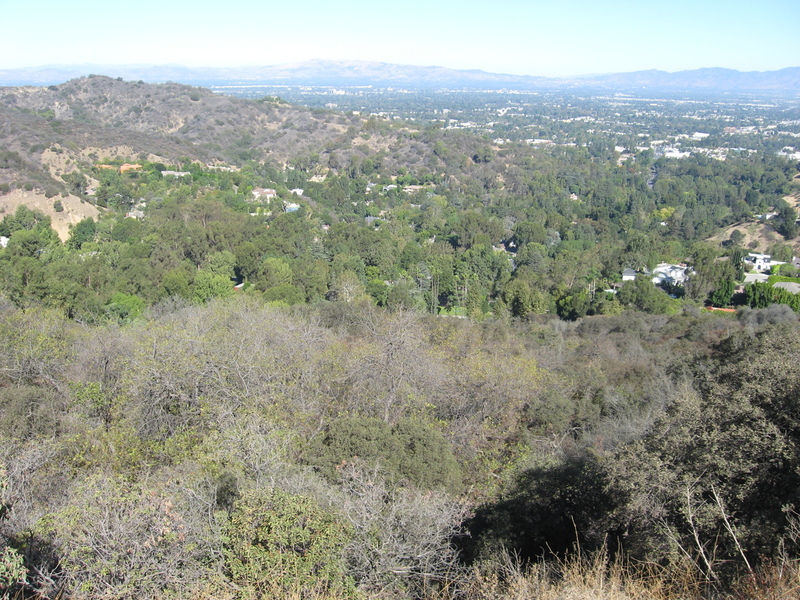 Then we got to the Fryman Canyon Overlook. Looking over at the terrain below the infamous curve in the road, I could see how things could go bad there. We couldn’t see anything down below on that side, so we headed on over to the actual spot in the road to have a closer look. On the west side of the curve, there was very dense brush growing just down the hillside from the road. And I could see how that could easily hide all manner of things. I supposed maybe some day I’ll have to put on my hiking shoes and go down into the canyon for a look. Our stop was at the gelato place in Studio City. 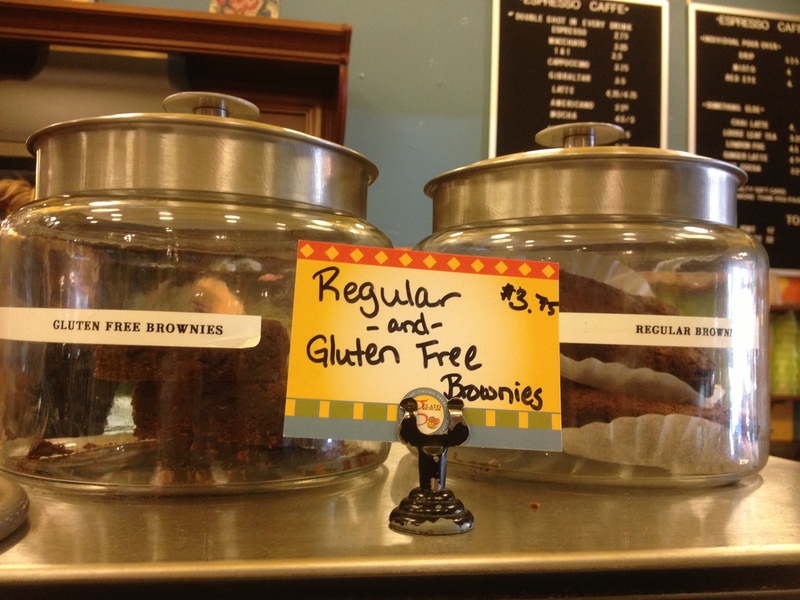 They have apparently gotten on the ‘gluten-free’ bandwagon. Sheesh. 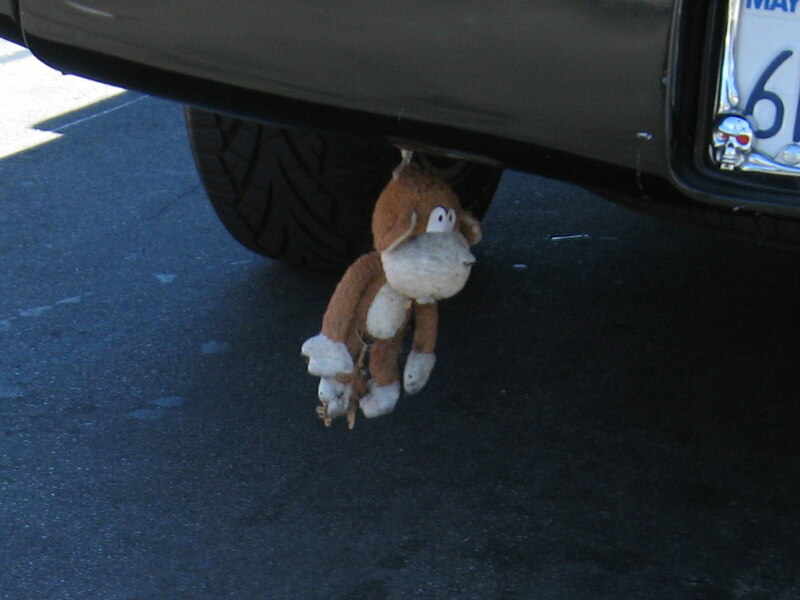 And on the way home, we saw what was apparently a despondent plush stuffed monkey who hung himself from a truck bumper. 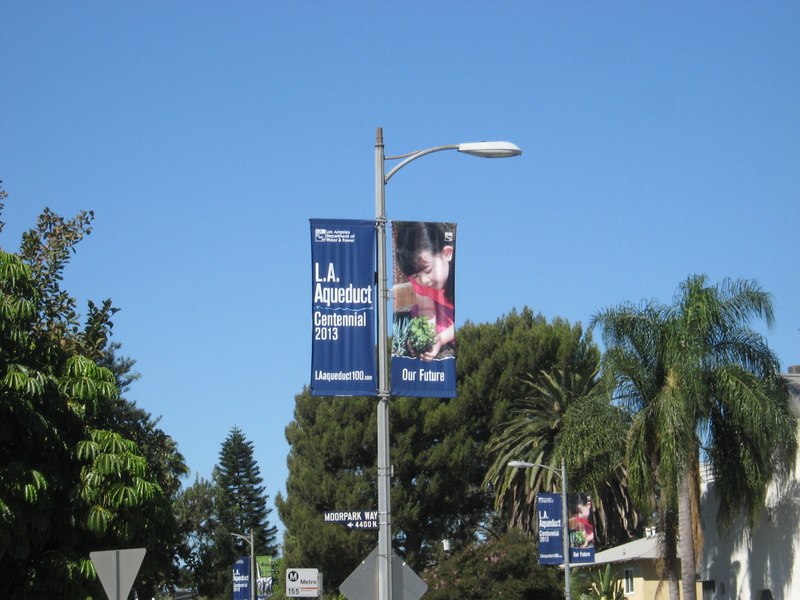 Well, at least that’s more tasteful than the ‘truck nuts‘ that we thankfully don’t see much here in L.A.